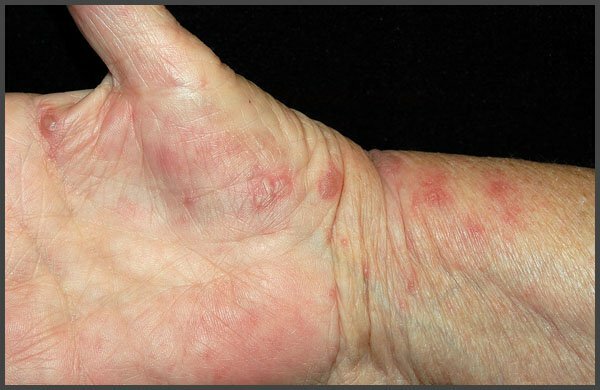 Shingles on the palms appear as rash of various shapes and colors. The main signs are severe itching and soreness. 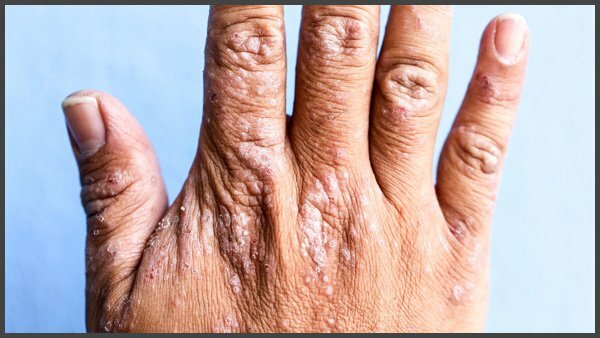 Sufferers will find it difficult to diagnose the disease themselves because the manifestations are very similar to other diseases, including fungal lesions. 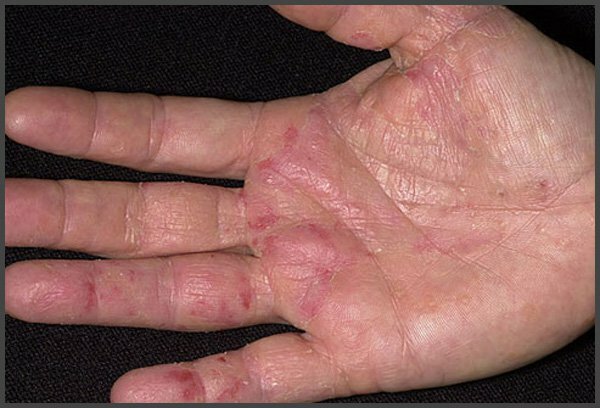 Shingles on the palms like in the picture appear in people who had chickenpox in their childhood (this virus is the causative agent of the disease). The virus is in a latent state for some time, however, if the immunity decreases, it can become active causing shingles.